One of my summer goals is to cook more with my kids. I had them look through a couple of my kid-friendly recipe books and pick the recipes they really wanted to try. 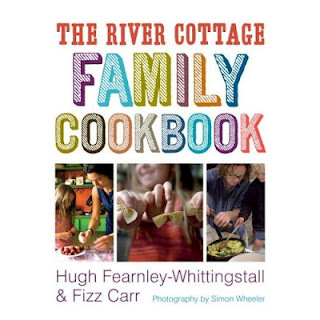 I'm not surprised that their first pick came from the River Cottage Family Cookbook. This is one fantastic cookbook. It is written in a way that makes cooking accessible for kids. Every ingredient and cooking tool you need for each recipe is listed at the top and the instructions are easy to follow. Although it is kid-friendly, it is not "kiddish". Meaning that the food inside is something that would appeal to kids and adults alike. 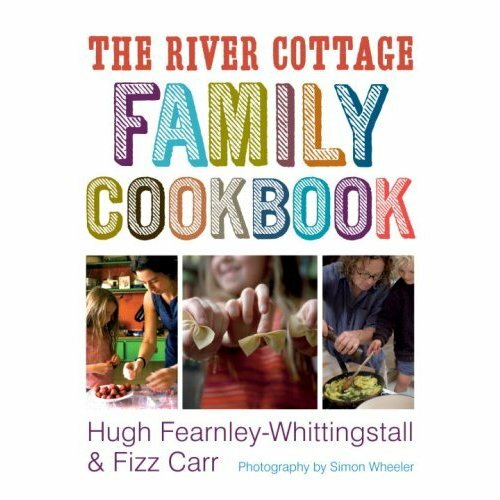 The idea is that you would work together as a family to get to know how to work with food from scratch. I just love it and everything I've tried from it has been delicious. I'll give you my simplified directions here - their directions are much more descriptive than mine. -bring a kettle of water to almost a boil. Mix 1/2 cup of water with the gelatin powder and stir until gelatin is disolved. Add a couple of drops red food coloring to the mix if desired. -Put the granulated sugar and water into a medium saucepan. Put it over low heat and mix until all the sugar granules are dissolved. Clip a warmed candy thermometer to the pan and raise the heat to boil the sugar and water together. While this mixture is heating, start mixing the egg whites until stiff peaks form. -Pour the gelatin into the pan of syrup and mix with a wooden spoon. -Turn the mixer back on low and very carefully add the syrup to the egg whites. -Mix everything together (you can raise the speed a bit here) and keep mixing until everything is thick and bulky but still pourable (if you lift up the beaters a ribbon of marshmallow should sit on the surface for a few seconds before sinking back down). -Pour the marshmallow into a prepared pan and let set in a cooled place for an hour or two.